Shopping for Green Lantern Cards? Not happy with the hand you've been dealt? 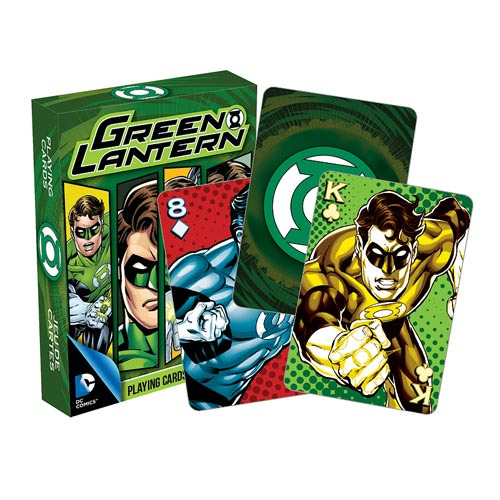 Stack the deck with these Green Lantern Playing Cards! Measuring approximately 2 1/2-inches x 3 1/2-inches with a linen type finish, these cards are great for professional players and fans!